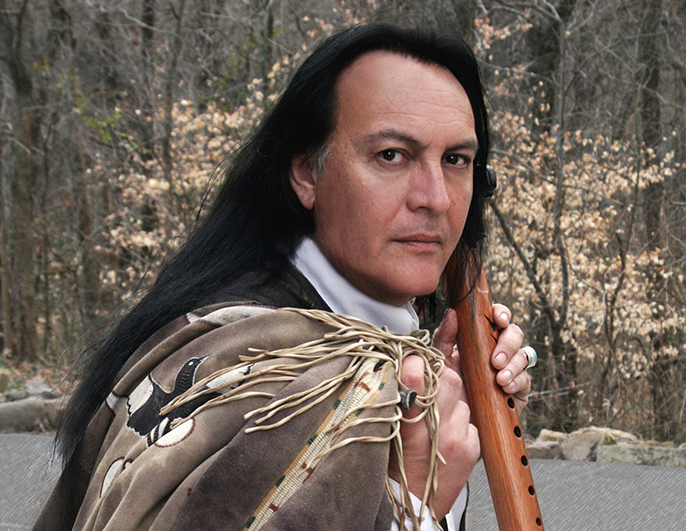 Bill Miller is an award-winning Native American recording artist, performer, songwriter, activist, painter, and world-class native flute player. Over the entirety, Miller has produced over a dozen albums, received three GRAMMY® Awards, numerous Native American Music Awards & Association (NAMA) awards (including a “Lifetime Achievement” Award) and led Wisconsin’s La Crosse Symphony Orchestra. Bill Miller pursues an equally active career as a visual fine artist and is exclusively represented worldwide by American Indian art authority and private fine art dealer Ken Lingad (Indian Pueblo of Isleta). Constantly creating fresh works of visual art, his painted masterpieces and drawings have been shown and sold in prestigious galleries around the country, while several of his iconic paintings have been acquired by the Smithsonian Museum and other important collections.